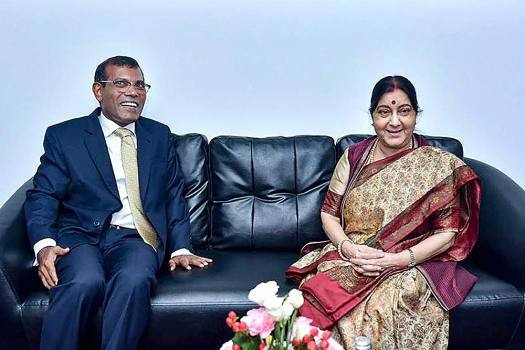 External Affairs Minister Sushma Swaraj meets former Maldives president Mohamed Nasheed, in Male. 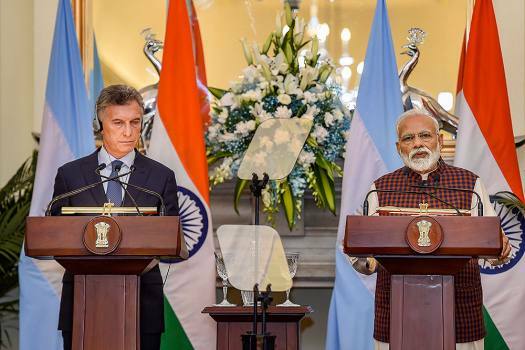 Prime Minister Narendra Modi and Argentina's President Mauricio Macri during their joint press conference at Hyderabad House in New Delhi. 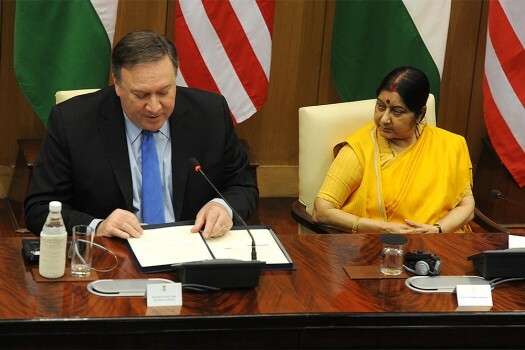 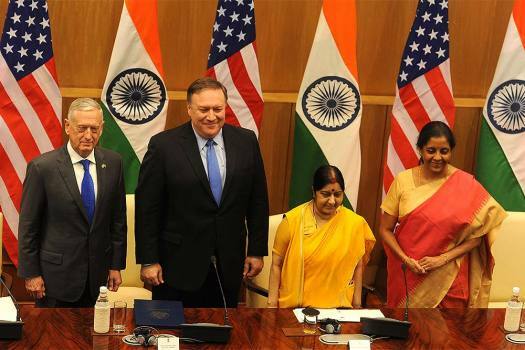 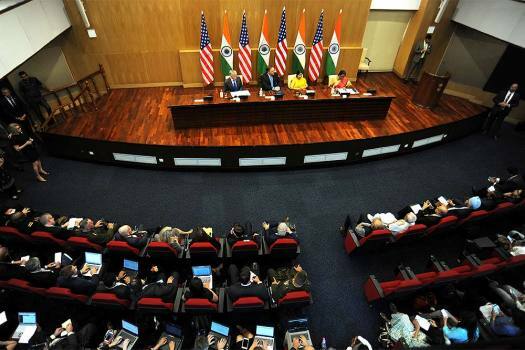 US Secretary of State Mike Pompeo (L) and External Affairs Minister Sushma Swaraj during a joint press conference following the India-US 2 + 2 Dialogue, in New Delhi. 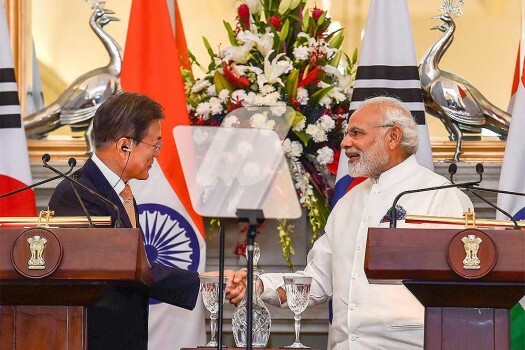 Prime Minister Narendra Modi shakes hands with South Korean President Moon Jae-in after their joint press conference at Hyderabad House, in New Delhi. 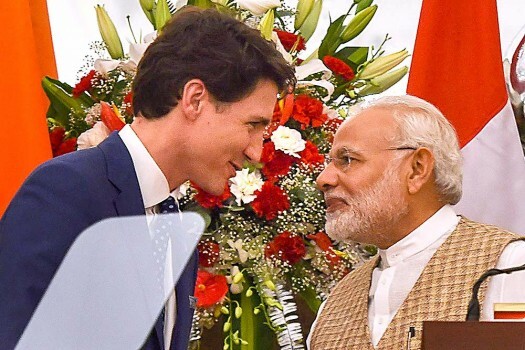 Prime Minister Narendra Modi and his Canadian counterpart Justin Trudeau during their joint press conference at Hyderabad House in New Delhi. 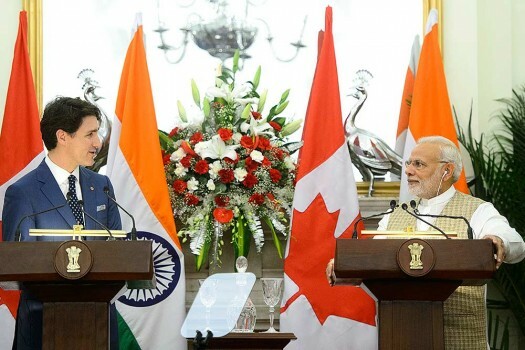 Canada Prime Minister Justin Trudeau delivers a joint statement with Prime Minister of India Narendra Modi at Hyderabad House in New Delhi. 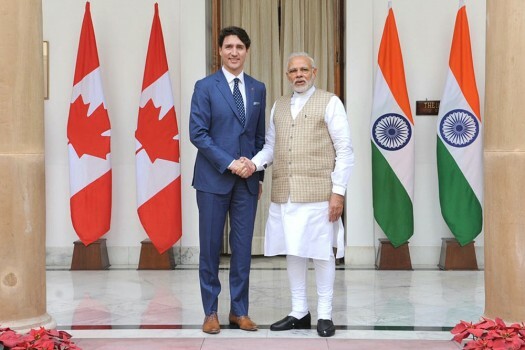 Prime Minister Narendra Modi, right, shakes hand with his Canadian counterpart Justin Trudeau before their meeting in New Delhi. 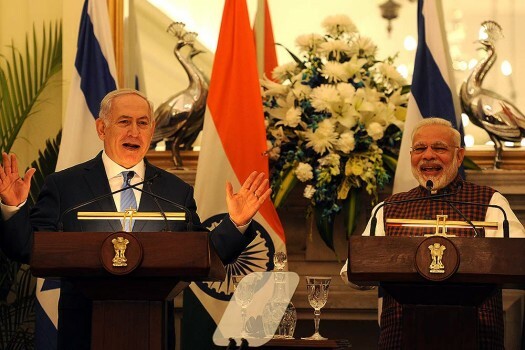 Prime Minister Narendra Modi and his Israeli counterpart Benjamin Netanyahu during a media interaction at Hyderabad House in New Delhi. 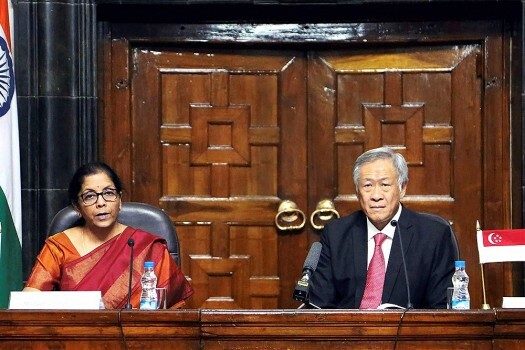 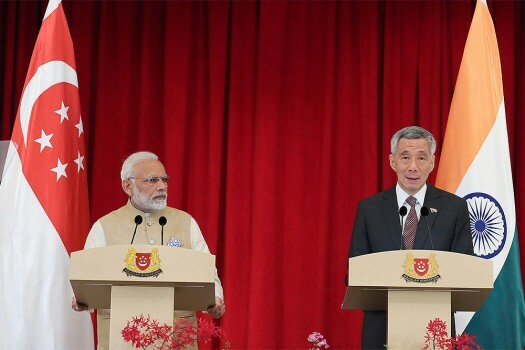 Union Minister for Defence, Nirmala Sitharaman with Defence Minister of Singapore, Ng Eng Hen making a statement after their bilateral talks in New Delhi. 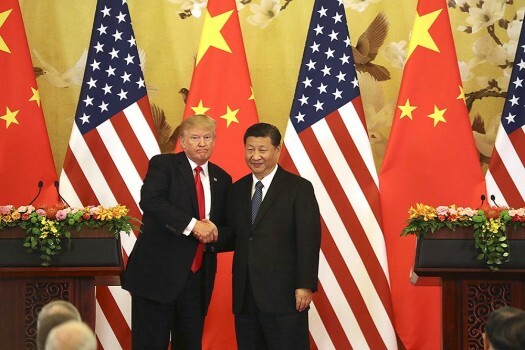 U.S. President Donald Trump and Chinese President Xi Jinping shakes hands during a joint press conference at the Great Hall of the People, in Beijing. 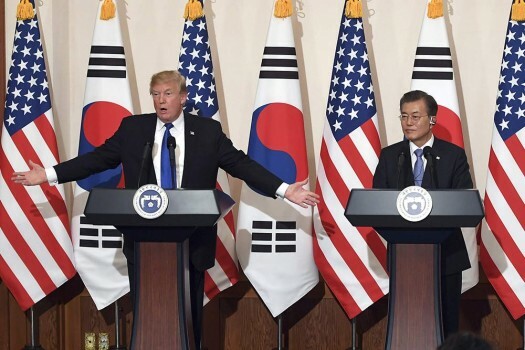 U.S. President Donald Trump, left, speaks as South Korean President Moon Jae-In listens during a joint press conference at the presidential Blue House in Seoul, South Korea. 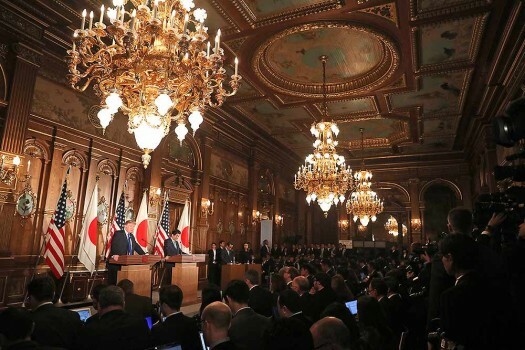 President Donald Trump, left, and Japanese Prime Minister Shinzo Abe, speak at a joint news conference at the Akasaka Palace, in Tokyo. 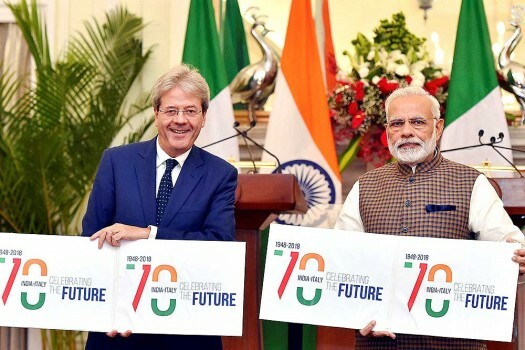 Prime Minister Narendra Modi with his Italian counterpart Paolo Gentiloni releases a logo during their joint press statement at Hyderabad House in New Delhi. 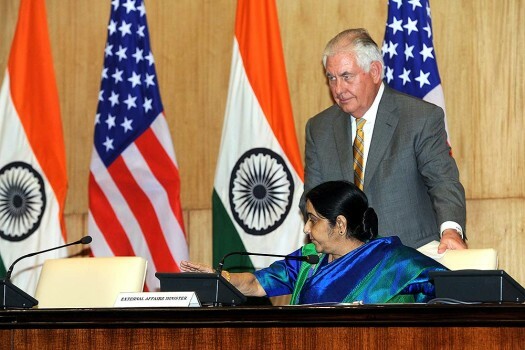 U.S. Secretary of State Rex Tillerson, right, pulls the chair to help Indian Foreign Minister Sushma Swaraj get up after the press briefing in New Delhi. 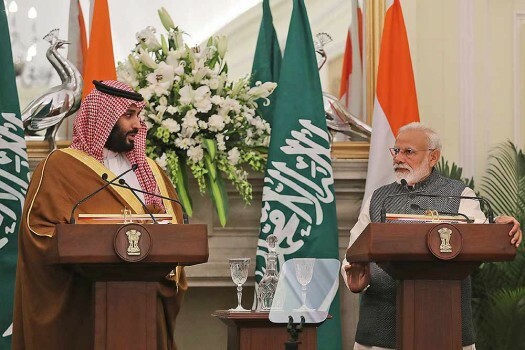 The crown prince arrived in Delhi on a less than 30-hour visit Tuesday night, a day after concluding his high-profile tour of Pakistan where he said dialogue was the only way to resolve "outstanding issues" between India and Pakistan. 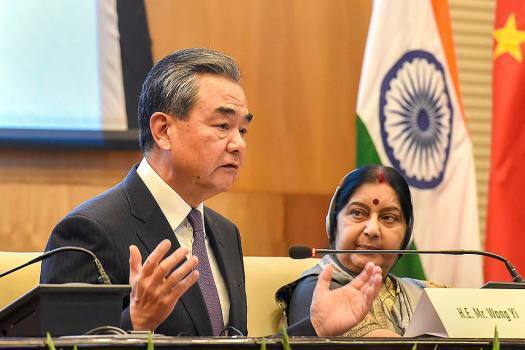 Has Pak Begun A Crack Down On Its Jihadi Assets?